I am so excited to introduce you all to this new fabric shop I found online! It's called Modern Fabric Studio. You definitely need to head over and check it out! and sewing notions a person could dream of! 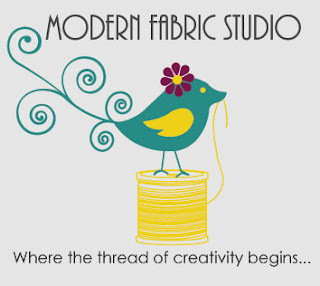 Amanda, the owner of Modern Fabric Studio has been super generous and is going to be giving one lucky Mommy by day, Crafter by night reader a $25 gift certificate to Modern Fabric Studio! Make sure while you are there checking out her shop that you read about how she started her business... It's pretty impressive! A winner will be picked at random next Thursday November 17, 2011. Enter me in- I signed up for the newsletter. And I "liked" them on FB!! Fun shop!! Wow, I was thrilled to finally find someone with some ECHINO cars in black and scooters in yellow!!! I have searched high and low for weeks. I shopped, spent more than my budget and signed up for their newsletter. Thanks for the referral! I also 'like'd their FACEBOOK page. I just signed up for the newsletters! I am now signed up for their newsletter! Just signed up for the new letter YAY. Such a great selection. 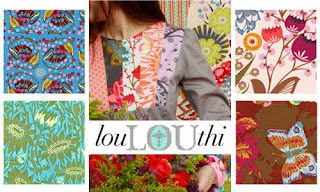 I am always looking for new places to partake in my guilty passion of buying fabrics. I already like them on fb...great shop. I signed up for the newsletter. Yay for fabric--she has awesome choices! I like them on Facebook--good deals and cute fabric--of course I like them! Yay! 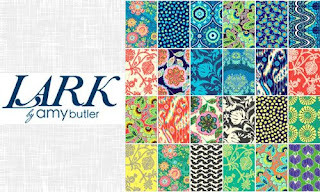 This is one of my favorite online fabric shops! I love them. I signed up for their newsletter! Great giveaway! I just signed up for the newsletter. And I follow them on facebook now. This is great cause I love a good online fabric sale and facebook updates are the best way to find out! Hello! I signed up for the newsletter! I also "liked" them on Facebook! Thanks! I have signed up for the newsletter and cant wait to start shopping!